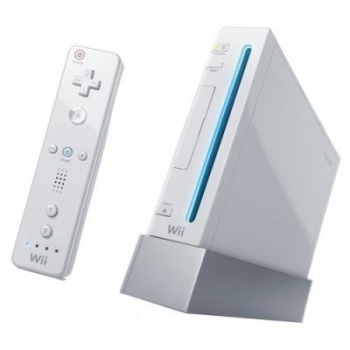 Nintendo has responded to a recent Greenpeace report that accused it of being environmentally irresponsible, saying that the Wii is the most energy efficient console of the current generation. The latest edition of Greenpeace's Guide to Greener Electronics once again ranked Nintendo as the "least green" of major consumer electronics manufacturers. While its score of 1.4 is an improvement over the perfect zero it nailed when it debuted on the chart, the company still took heat for a wide range of environmental offenses, including its failure to establish a timeline for phasing out PVCs and BFRs, using little or no recycled plastic content in its consoles and its continued refusal to take a positive position on mandatory reductions of greenhouse gas emissions. In a statement to Eurogamer, however, Nintendo defended its environmental practices, saying that the Wii is "notably the most energy efficient [console] of its generation." "We would like to assure customers that we take our environmental responsibilities seriously and are rigorous in our commitment to comply with all relevant laws relating to environmental and product safety, including avoiding the use of dangerous substances in our manufacturing processes and ensuring the safe disposal and recycling of materials," the company said. "We consider the environmental impact of our products over their entire life cycle, from planning to disposal. In the planning phase, for example, we make every effort to design energy-efficient products and select materials for component parts and packaging materials with careful consideration for the environment," it continued. "We also consider the importance of reducing environmental impact at end-of-life disposal by clearly indicating the materials used in each product to make recycling easier." The Greenpeace ranking acknowledged that Nintendo has in fact taken some steps to improve its environmental record, including using PVC-free internal wiring in its consoles, banning phthalates, "monitoring" the use of antimony and beryllium and developing a low-power, Energy Star-complaint AC adapter for the Nintendo DSi. But the company "continues to score zero on all e-waste criteria" and was penalized for increasing its output of greenhouse gases despite committing to cut them by two percent each year.